The summer has started to make its presence felt and while what the weather awaits us for the weekend is difficult to predict, the flicks this weekend are sure to raise the temperature. With the reboot(probably a great one) of the beloved Disney tale is one to take back to your childhood, Vikramaditya Motwane brings another intriguing tale of survival. When the release dates were announced, Disney fans have been eagerly awaiting the chance to catch the train back to their childhoods albeit in an all new avatar. 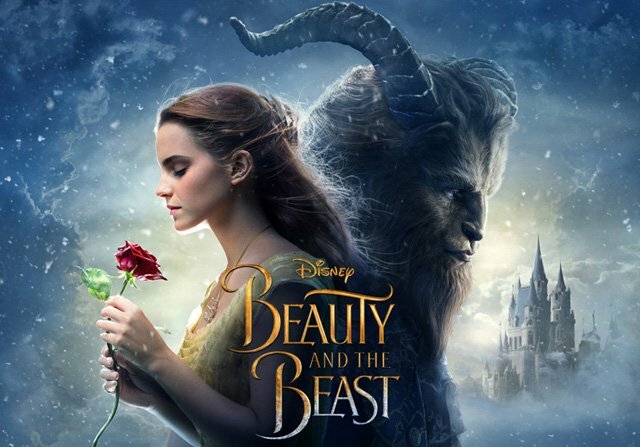 With motion reality and the effervescent Emma Watson in the lead, Beaty and the Beast is a tale of utopian love, something that has been lost nowadays. Grab the tickets so that you can enjoy the show from the seat of your choice. Let's face it. Disney's offerings are not something that are embedded in reality. However, they are the things that are exactly lacking in the world that we love today. A world, that would be done no harm if it's reminded of all that's good in it from time to time. While we may sometimes loath the lack of real world drama in its movies, secretly deep down inside we know that we keep looking forward to it every year. To help us remember of all that's good around us, of all that's noble inside us. So discover it at a cinema screen near you. 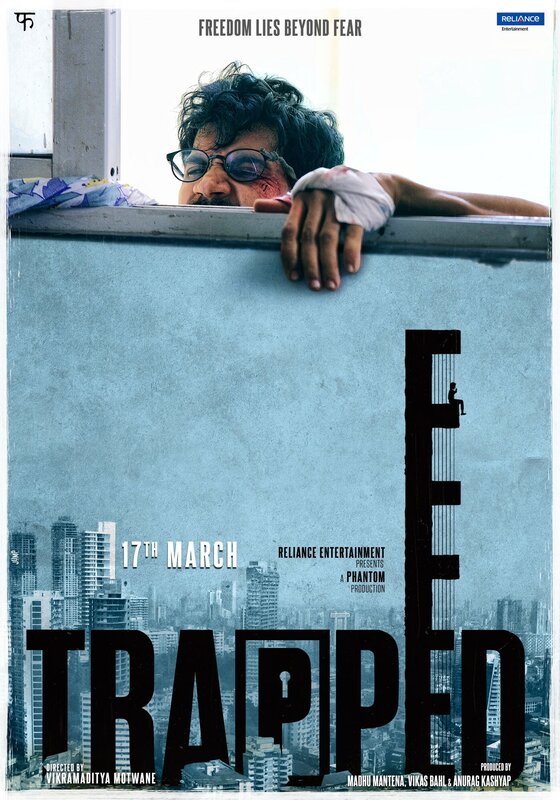 Trapped : Bollywood's answer to 127 hours? For all those who have seen the Danny Boyle directed flick, it's safe to say that the story was not surprising. However, what stood out was told, with James Franco the lone man to carry the whole movie on his shoulders. Though it didn't set the cash registers ringing, it did carve out its place among the audience. And we secretly wondered if such a movie could be made here at home. And the only way to find out is to catch this flick at cinema screens near you. 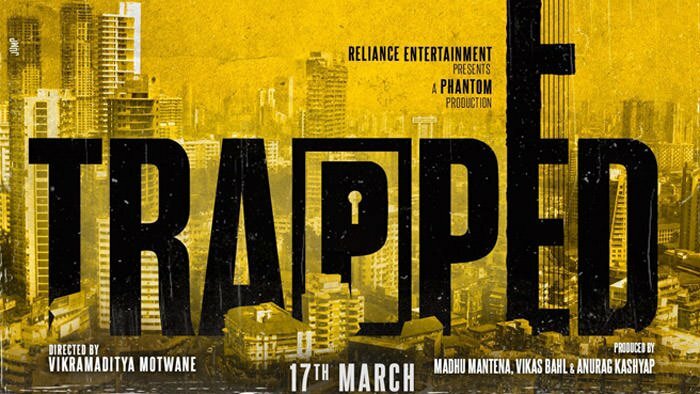 While there is no dearth of quality movies that have been churning out for the last few years, the ones that really come through as breathtaking have been few and far between. However, a quick look at the cast and crew of Trapped reveals that with this movie, it's not the case. With a national award and amazing performances in movies like Shahid, Rajkumar Rao commands a deep respect from his fans. And to make it even better, the actor is being directed by the guy who brought Udaan to us. So make sure you beat the queue and grab your tickets. Are we excited? Yeah we are!